A newly discovered slug this year in the the mountains of Malaysia is the "Ninja Slug". 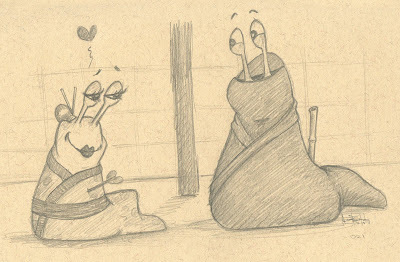 This long-tailed slug supposedly shoots out chalky "love darts" at potential mates which pierce and inject the proper hormones. Interesting! !